MANY THANKS: to everybody who supported the jumble sale in aid of St Peter & St James Hospice recently either by donating jumble and cakes or attending the sale as a helper or buyer. Without you the sale would not be possible and all your support and assistance is much appreciated by the Plumpton Support Group committee. JUMBLE SALE: takes place this Saturday (September 1) at 2pm, at the village hall, to raise funds for the Sports Pavilion at the King George V Playing Fields. There will be cakes, tombola, toys, books, clothes, bric-a-brac and much more. There will be lots to rummage through so do go along, you may well find a bargain. Donations of jumble will be much appreciated apart from videos as these no longer sell. Please take jumble to the hall from 9am to midday. FOOTPATH SOCIETY: six mile walk on Wednesday September 5 is not now happening. There will be a circular village (four mile) walk on Sunday September 9. Meet at Plumpton Village Hall (Map Ref: 362 165) ready to start walking at 2pm. For more details call Jo Taylor on 01273 890450 or 07870142108. WOMEN’S INSTITUTE: meet on Wednesday September 12 at 7.30pm. Visitors and new members are always welcome, so do go along. For more information call Val Thompsett on 01273 891256. AUTUMN FLOWER SHOW: organised by the Plumpton and District Horticultural Society, takes place on Saturday September 15 at 2pm in the village hall. There will be classes for flowers, vegetables, cookery and crafts. Also a tombola and refreshments. If you would like more information about the classes do call Gill Stewart-Brown on 01273 890051. FLOWER CLUB: meet at the village hall, on Wednesday September 19 at 7.30pm. The demonstrator will be Jan Mason and the subject ‘Garden Inspiration’. Visitors are most welcome at a cost of £3 at the door. There is always a raffle giving a chance to win one of the demonstrators’ arrangements. For more details call Gill Wells on 01273 890561. JUMBLE SALE: takes place on Saturday September 29 at 2pm, at the village hall, to raise funds for Plumpton Primary School PTFA. WALK: on Wednesday October 3, with the Footpath Society, will now start at 10.30am from near to the Plough Inn, Pyecombe (old road between A23 and A273 (Map Ref: 292 134). 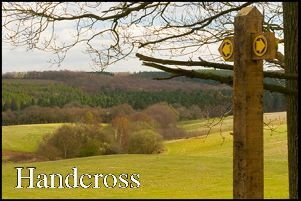 It will be 6 miles and include Chatto, Brapool, Sweet Hill, South Downs Way and Haresdean. Take a picnic with you. For more details call Bernie Kempton on 01825 722649 or 07791247025. JUMBLE SALE takes place on Saturday October 13 at 2pm, at the village hall, to raise funds for the upkeep of the village hall. FESTIVE FAIR organised by the Plumpton Support Group for St Peter and St James Hospice will be at the village hall on Saturday November 24, from midday until 4.30pm, and all the money raised goes to help support the hospice. This has now become a well-established event on the village calendar and in the past has been very well supported by residents and shoppers from further afield. There will be a good selection of stalls selling crafts, gifts and festive fare, along with children’s games, refreshments and a tombola. Also a Grand Raffle with numerous lovely prizes including a first prize of £100 cash. The organisers are assured that Father Christmas has the date in his busy schedule and will be at the Fair from 2pm. Get your Christmas shopping done early, there will be lots of gifts to choose from, and help support our local Hospice. Admission costs £1 for over 14 year olds. For more information please contact Terry Thompsett on 01273 891256 or via terencethompsett@mypostoffice.co.uk. PLANT TABLE is open at Brydon, Station Road, Plumpton Green. Please drop money through letter box. Donations of Plants always welcome. Contact Alan on 01273 890414 or Gill on 01273 890055 for further information. Thanks to everyone for supporting the plant stall and their continued support of the Voluntary Driving Scheme.